As ears had never heard. Up rose the light of man. His patient love shall win. 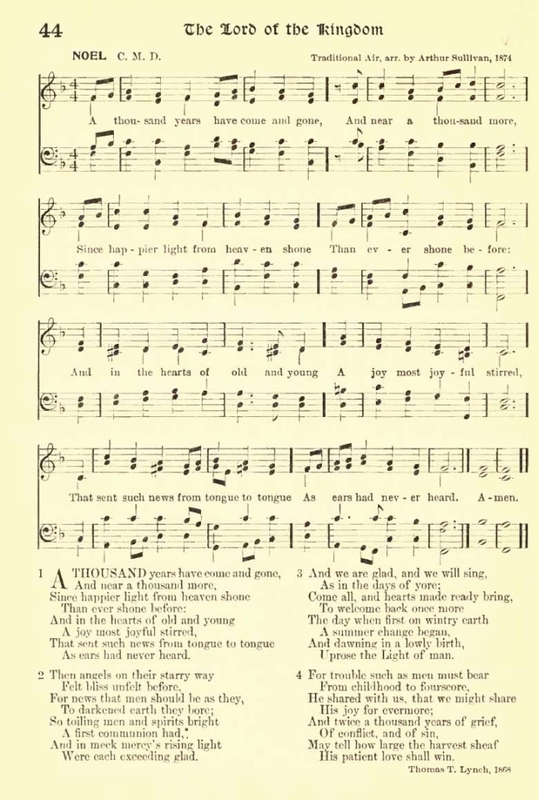 Sheet Music "Noel" a traditional air arranged by Arthur Sullivan, 1874, from Henry Sloane Coffin and Ambrose White Vernon, eds., Hymns of the Kingdom of God. New York: The A. S. Barnes Company, 1910, #44, p. 80.